Some statements stand out in your memory for the power with which they resonate through you mind. I recall the first time I encountered the question posed by Alan November “Who owns the learning?” on the cover of his book of the same name. In four words, Alan poses a question that strikes at the heart of education and encourages us to re-think our approach. If we believe that the learner should own the learning, what are the implications of this for our teaching? Like a stone dropped on the surface of a calm pond, the ripples from a powerful idea spread, expand and gain strength. Warren Berger’s thinking has a similar effect. His work is around the power of questions as a catalyst for creativity and innovation. Ask the right question, in the right way and the effect can be profound. Warren tells the story of innovators who have taken the time to fully understand the situation and found that the answer came from re-imagining the questions that were being asked. The stone that Berger drops in the pond is the title of his book “A more beautiful question”. We ask questions all of the time but for most of that time our energy is spent on finding an answer to the question we have asked. Berger asks us to give more time to finding our beautiful question. When we shift our thinking from a mindset that values answers to one which appreciates the power of a question we open ourselves to new possibilities. Some statements bring their authors great fame. They immediately grab the attention of their audience with their bold, unapologetic challenge to the status quo. In 2006 Sir Ken Robinson dropped a virtual bombshell on the world of education in what has come to be the most watched TED Talk of all time with over 53 million views on the TED site alone. “Do schools kill creativity?”. Framed any other way Robinson’s query may have disappeared into the ether. Delivered with the perfect mix of humour, charisma and passion, Robinson’s question continues to impact our vision for what education should offer. I share these ideas because I find in considering viewpoints such as these an opportunity to reflect on the manner in which things are done. By confronting ideas that challenge the “way we have always done things” we allow us to either better value what is good in what we do or begin the search for a better story. In their bold and challenging presentation, these ideas force us to think and that can only ever be a good thing. If a bold claim leads to rich and healthy debate, then it has served a powerful purpose; after all the status quo is best imagined as the point where our questioning begins. I finish with what has become one of the most significant ideas I have toyed with in recent times. It is an idea captured in a single word coined by David Perkins "Lifeworthy; that is, likely to matter in the lives learners are likely to live.” In a single word Perkins challenges his readers to focus their efforts on learning that will matter in the lives that their learners are likely to lead. In a world where there is so much to learn, amidst curriculums which are massively overcrowded, the idea of teaching that which is Lifeworthy has great power and invites fresh dialogue around what we imagine education should provide those who own the learning. What idea has shifted your thinking? The title alone is worth pondering, ‘Who does own the learning?’ If the best learning occurs while the unit is being programmed, if the students have little say in the direction their learning takes then how are we preparing them for their learning futures. Alan has a solid understanding of the implications of technology for learning and combines this with student centred pedagogical approaches to describe a model of education that empowers young learners to take charge of their learning. For teachers the challenge is to get out of the way of the spectacular learning that their children are capable of. How do you answer the 'uppity question’ from a student who wants to know why they need to learn what you are teaching? Do you reply that they need it to do well in the test or are you confident that it is learning they will need to do well in life? In this book Perkins examines what we teaching in schools and makes recommendations for a shift in focus. A key idea introduced early and unpacked throughout the book is the idea of ‘LifeWorthy’; learning that is 'likely to matter in the lives learners are likely to live’. Future Wise is jargon free and a great book to share with colleagues, it will help you rethink what you spend time on in class and clarify how you see the role and purpose of education. Find out more about Lane Clark and her approach to inquiry and real learning. Schools are made of people. Schools are all about people. Schools are made from the connections between people. Schools exist to serve people and make the lives of all people better. These are the fundamental truths which underly every aspect of education and schooling. They are inescapable, undeniable and they should be self-evident. It is easy to lose sight of these fundamental truths. To allow the many layers of minutia to come between our actions and the people who are at the heart of the matter. We may not set out to do so but we allow distracting agendas, organisational structures, policies and processes to act as proxies for the people we are meant to be serving. We might be meeting all the requirements of registration, standards and accountability and yet somehow we have lost that direct connection to the people. Curriculum is very important. A well written curriculum should make it clear what is worth learning. It should detail the knowledge, skills and dispositions which the people we serve will need and which schools can develop and promote. Curriculum writers should constantly be connecting what they plan for schools to teach with the people that will be most directly affected by that curriculum. Essential questions such as “What is life-worthy learning?” should echo around the rooms in which curriculum planners work. To be clear, the people that education serve should not be politicians or non-human entities in the form of businesses or global conglomerates. Somehow though our curriculum seems to be a product of many forces and all too often the people most directly affected by it seem to be forgotten. Schools contribute to this dilemma when they measure their success or compliance against the number of tick boxes they achieve in the curriculum. Assessment too is important. It should let people know how they are progressing with their learning. What they have achieved, what they are yet to achieve and what they need to revisit or seek assistance with. Assessment should always tell someone who cares, something valuable about someone they care about so that they can take actions to help that someone learn. Assessment should not be about league tables. It should not be a tool for comparing nations, states or schools. It should not be about grading people; let’s save that barbaric process for cattle. Sadly, assessment becomes a measure of the wrong people, used to adjust the behaviours of the wrong people or to validate a decision which fails to take into account the needs of the people who are meant to be served by it. Pedagogy might be thought of as an area where we get our priorities right. Pedagogy should be a set of decisions made by a teacher which result in a learning experience suited to the needs of the people that they serve. Unfortunately, pedagogy is often a construct of other forces. A response to a particular philosophy applied too rigorously. A set of actions which have always been taken in such a manner that the pedagogy remains the same even as the people and their needs change. Pedagogy should never be dictated by anyone’s and especially not a politician’s emotional attachment to their school days. Pedagogy should be alive, responsive and in service of the people who experience it most directly. Policies, procedures, measures of accountability, routines, timetables etc. all subtly and confoundingly come between us and the people we serve. We implement measures to ensure that we are doing our jobs and they become what we serve. Each layer of structure and procedure sees us become one step removed from the people who matter most. As we serve multiple ‘masters’ we forget about the fundamental truths at the heart of education; that schools are made of people, for people and by people. At every level, in every decision, with every idea we implement and with every cent we spend, we need to ensure that we are focused on meeting the needs of the people we serve. For Belinda, who ensured it was always about the people. There is a great deal that I like about this description of humanity at its best from Ryan & Deci. It is both a goal to be achieved and an indicator of conditions which are required for us to fulfil our potential. While the focus of this statement is on the actions of the individual we can see how society might act to deny individuals the opportunities to lead such an inspired and agentic life. I like to imagine what a school might be like if every individual who plays a part in its functioning strove to extend themselves, master new skills and apply their talents responsibly. Maybe schools would be like the ‘learning organisations’ described by Peter Senge. Underlying Senge’s writing are essential assumptions about people in organisations which parallel the description of people offered by Ryan & Deci. The most important assumption is revealed in the line ‘Learning organisations are possible because not only is it in our nature to learn but we love to learn’. His evidence for this is the learning that occurs for an infant as they learn to walk, talk and demonstrate intrinsic inquisitiveness. This love of learning that Senge identifies must be present for his learning organisations model to work. While a love of learning is an innate quality of young children it might be questioned that this persists as we age. It can be seen that for many and perhaps as a consequence of their experience of school, learning becomes synonymous with work. When learning becomes something we are coerced to do, when what we learn is controlled externally (by other people or by systems and policies) when our learning is regulated for us and motivation comes through extrinsic forces we lose the capacity to be agentic learners. The second condition required for Senge’s learning organisation to thrive is that learning is a highly valued ideal of the teams which comprise the organisation. Senge states that ‘Team learning is vital because teams, not individuals, are the fundamental learning unit in modern organisations.’ Lastly Senge describes learning organisations as ‘a place where people are continually discovering how they create their reality. And how they change it.’ Taken on mass this is high rhetoric but Senge sees this as possible and achievable as ‘Material affluence for the majority has gradually shifted people’s orientation toward work - from what Daniel Yankelovich called an ‘instrumental’ view of work, where work was a means to an end, to a more ‘sacred’ view where people seek the ‘intrinsic’ benefits of work’. Where the majority of individuals are yet to embrace this sacred view of work, there is likely to be a great tension between those with high levels of intrinsic motivation to realise the vision and mission of the organisation and those who subscribe to an instrumental view. Unpacking this Senge pins his theory on the belief that people will want to learn as part of a team to create a learning organisation with a shared vision and purpose because their material affluence and fundamental human nature allows them to rise above their lower aspirations for personal fulfilment. I have a hard time imagining that applying to all but a few organisations. After leaving school and while at university I worked in a hotel laundry. I worked as part of a team, we washed, we dried, we folded on odd occasions we had to learn a new fold, a new wash cycle, but in honesty, there was little learning to do. There was no opportunity to create a reality. Maybe the scale is too small and thinking of the Hotel as the organisation we had some knowledge to contribute to the overall health of the organisation, even so I do not imagine any of my colleagues seeing their work as anything other than an ‘instrumental’ means to an end. Maybe such jobs will soon be replaced by machines and Artificial Intelligence will remove the need for menial, repetitive cognitive labour. Maybe we are close to a time where we are all freed from being the ‘instruments' of the economy and work will become a ‘sacred’ force in all of our lives. Maybe we will all soon be living the life of the aerospace engineer with time to study philosophy and meditate while we await our next royalty cheque. Senge states that 'This, then, is the basic meaning of a 'learning organisation’ - an organization that is continually expanding its capacity to create its future'. But each organisation is made of individuals and while I agree we do possess an intrinsic drive to learn we have that drive to allow us as individuals to survive. Looked at possibly to the level of 'reductio ad absurdum', from organisations, to individuals, to individual genes as described in Dawkin’s model of the ’selfish gene’. It might be that our genes are encoded to learn but they are thusly encoded to learn for their individual survival and not the survival of the organisation that is us, nor the collective that we call humanity. Yet in schools I at least want Senge to be correct, I want to work in that model of a learning community where everyone from the night janitor to the principal is committed to learning together to enhance the organisations quality. I want our students to be immersed in learning and to see the intrinsic value of becoming self-navigating life-long learners. Returning to Ryan & Deci we notice two conditions which are crucial if we hope for a future populated by self-motivated individuals striving to learn and extend themselves; agency and inspiration. Firstly, individuals need to be agentic, meaning that they can act strategically to achieve their goals. For individuals to be truly agentic they require the capacity for self-directed action towards a goal and the social/cultural/organisational conditions which allow for this and they must have a desire to act with agency. Secondly, individuals need to be inspired; a requirement served by societal and organisational conditions which connect with what is of significance to the individual. This then is the challenge for schools, to create conditions which inspire individuals to act with agency such that they become the architects of their learning. In framing such a goal the complexity of this challenge becomes apparent as one plays with the words to capture a condition in which the school is able to inspire the individual and accommodate individual agency, such that the individual is inherently inspired. How do we envision the role that the school or organisation plays in shaping the conditions within which the individual is able to shape their context to align with their inspired actions? How we manage the apparent paradox that agency can be taken from the individual but cannot be given? That all of this occurs in a climate where micromanagement of schools, teachers and teaching is the norm, where external forces increasingly shape what is taught and how, only further complicates matters. And still the words of Ryan & Deci hang there longing to be made real. With the new Science and Technology Curriculum in New South Wales, teachers have been asked to teach students Systems Thinking. This in itself brings challenges but it also invites teachers to investigate their school as a system and to then consider what perspectives this lens invites. What becomes clear quite quickly is that schools are inherently complex systems. Imagine creating a systems map of just the people involved in a school and you see that there is great complexity emerging. To this web of the schools immediate human connections one then needs to add layers for curriculum, finance, physical resources, community connections, political factors, historical influences, pedagogies, government authorities, climate factors, technology, infrastructure etc. etc. etc. It becomes clear that typical systems thinking when applied to whole school efforts related to culture are going to require a theoretical approach capable of explaining this level of complexity. Thinking and reading about complexity theory opens a number of questions for me. The degree of complexity or organisational scale required for applicability of the theory within a system seems to make it relevant to change at a whole school level (Mason, 2008) and particularly to cultural change. Complexity theory points towards the importance of exploring the interactions between the intentions and effects of agents within organisations and reveals that the exponential scaling of these connections brings greater degrees of complexity than may be managed or readily understood. The question is at which point does the level of complexity within an organisation produce relevant degrees of unpredictability? or at what point does the level of complexity become too great to predict reliably the outcome of any change effort. Evaluating this is made more complex as the number of agents and constituent elements within an organisation also seem to defy simple measures. It is unlikely that each agent (human or other such as a mandated curriculum or piece of infrastructure) acts with true independence. Collectives of individuals and closely connected elements (a curriculum that requires a particular pedagogy) may be best seen as single actors within a network with effect sizes not always directly related to the number of component parts. The total number of actors and influencers within even complex systems may be significantly less than what a simple calculation estimates and yet the net effect of all of these factors remains difficult to predict. Taken simplistically there could be a feeling that due to the complexity of large systems change becomes an uncontrollable beast with a mind of its own. If change can only occur where every element of the organisation is continually shaped through ‘massive interventions at all levels’ (Mason, 2008 p43) and even with intense effort the inertial momentum of the organisation means change is hard achieved, how can we hope to negotiate times which require ongoing, rapid change? This then seems to be the challenge confronting schools as the societies in which they exist appear to be racing towards ever greater levels of volatility, uncertainty, complexity and ambiguity, change becomes the norm and yet change management seems to be increasingly ruled by chaotic drivers. . This is perhaps why most change management strategists choose to keep to a more technical rationalist perspective at least early in the change process. The plan put forward by most change analysts centres on placing faith in the establishment of conditions which are conducive to change. By approaching both the small details and the bigger picture thinking of vision and purpose with rational thought and a well-informed plan the hope is that the initial momentum moves the organisation at least somewhat in the desired direction. As the process moves forward it becomes feasible to allow ideas to emerge from within At this stage it is hoped that continuous gentle steering of the change in the desired direction will produce the desired effect. This requires organisations to be open to embracing or tolerating a degree of chaos along the way and being open to unpredictable elements and acts. If it all goes well the organisation will be able to navigate towards a desired goal and be ready for the next challenging change. It is also likely that the whole effort can be derailed by a combination of factors which could not have been predicted or planned for. Looking to a hybridized model of complexity theory, humanist approaches and technical rationalist perspectives the appeal of design thinking approaches comes to the fore. In its flexibility and structure founded on a desire to understand the human factors within change it seems to offer a workable solution that can scale. I like that it is a process driven by questions and accepting of failure through rapid prototyping and that it is a cycle with no beginning and no end. It includes scope for input from multiple sources and indicates the importance of feedback and reflection on both the results and process. It also has sufficient flexibility to include elements of systems analysis of an organisation where the interactions between agents are included in the response. Daniel Wilson of Harvard’s Project Zero speaking in Melbourne noted that designers achieve greater success with complex problems than others. Designers have a capacity due to their thinking dispositions to cope with complexity and to adapt solutions as needed while working towards a vision or shared goal. Daniel indicates that complex situations, such as those which schools increasingly confront as a result of rapid change and previously unencountered challenges, require emergence as a path to solutions. A bubbling forth of ideas which may be transformed into plans and drivers of change from all areas of an organisation is seen as the best approach to change where the answers do not exist and cannot be passed down from above. Why might we want to learn Digital Technologies? Understanding the “Why” of any initiative should be a key step prior to implementation. Without a clear understanding of our “Why” how are we to judge the success of what we are implementing. How will we know which steps take us in the right direction if we have no concept of why we are journeying. In our implementation of ICT (Information & Communication Technologies) and now Digital Technologies, a lack of clarity on the matter of “Why" has often been the most significant challenge to success. While it is an unavoidable reality that technology has changed our society, is continuing to bring transformation to all aspects of our lives and our workplaces and that this is a pattern unlikely to change, the place that education should play in education continues as a somewhat grey area. To dabble on the fringes of the false-dichotomy, the use of ICT is to either facilitate learning or it is content, skills and tools that students must master. Hammond outlines the perceived benefits of ICT integration to schools as being linked to positive impact on standards, vocational relevance and as a catalyst for curriculum change. In each instance Hammond argues that research does not indicate that ICT has met these goals. Perhaps the most interesting observation is found in the statement, 'In particular, the use of ICT has been unquestioned, policy has focused on adoption rather than pedagogy, and beliefs about ICT are characterised by determinism’. The unquestioned adoption of technology fueled by those who are passionate about its use has led to forced integration of technology and an expanding educational technology marketplace with little real thought given to its purposes. Educational technology for much of its short history seems to have been stuck between the two dominant models of education with a foot in the content delivery camp and one in the constructivist, student centered one. Technologies such as Interactive Whiteboards and Learning Management Systems (LMS) may bring new affordances, but if their use remains consistent with traditional pedagogical models of the teacher delivering content then their ultimate value is limited. For many the use of ICT has centered around its use in ways that are designed to bring learners and the curriculum's prescribed content together with perhaps some option for online discussion. LMS options and online courses presented in parallel to face to face learning scenarios offer little real differentiation and the value add of the technology can be minimal. There are some significant forces changing the landscape of teaching with technology and this is reflected in a bifurcation of the curriculum into two strands. Information & Communication Technologies continue to play their part as a tool for learning and for communication. Alongside this there is an increasing understanding that mainstream curriculums need to provide learners with the capacity to be producers of digital solutions. 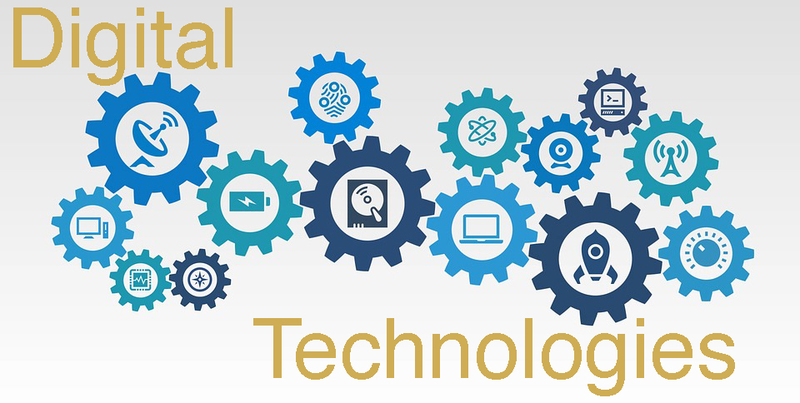 In the traditional areas of technology use, what has traditionally been labelled as ICT, the maturity of present day operating systems and devices has removed most of the barriers to use that existed previously and today we have systems that allow the technology to move to the background. The modern learner expects technology to just work and to be designed in ways that allow the user to quickly master its interface. In the modern world of low cost Apps, if you design a product that requires a manual or that has a steep learning curve you are bound to fail in the market. The evolution of technology from ‘geek toy’ to mainstream consumer device has allowed teachers to focus on the learning enabled by the devices rather than devoting significant time to learning the technology. This does not mean that the use of ICT is without challenges. With the ease of use has come the challenge of how we manage the potential of modern devices to distract us from other tasks. Educators face the challenge of teaching students to take control of their technology use, to manage screen time and to avoid the lure of social media and gaming. New dangers have emerged as a result of our connectedness and the social world of our young people has been transformed. Our young people need to learn how to manage their online profile and avoid the very real threat of being exploited by adults. In the pre-digital world, the social blunders we made were mostly contained to a small circle of possible connections. Today we learn the norms of society in a very public setting and our mistakes linger on as our ever-present digital footprint. At the other end of the spectrum we see an increased understanding that the solutions we create, to solve the problems we encounter will demand knowledge of the possibilities of digital technologies. Emerging technologies such as artificial intelligence, robotics, physical computing using Arduino and other system on a chip models merge with cultures of making and small scale manufacturing processes to bring new affordances that shift learning beyond content transfer. This is not technology as a tool for learning content or skills that were traditionally taught by a teacher but technology as the product of our problem solving. It is right to question the validity of teaching all students this new Digital Technology. The automobile transformed society but we did not teach all students to be mechanics. Why should all students learn to code or be taught to solve problems through computational thinking? Perhaps the answer lies in the breath of change that comes with Digital Technology. Every aspect of our modern life is set to be disrupted in some way by the continued expansion of technology. In particular, it will become increasingly normal for technology to be blended into our working lives and a future where our workmates include machines is predicted to be the norm. Our infrastructure (electrical supplies, traffic networks, financial systems etc.) is largely built on now outdated technology and the systems which control it are increasingly susceptible to malfeasance and this will require new thinking if the chaos of disrupted systems is to be avoided. It is also very much the case that the next evolution of the products and systems we rely on will involve a shift to digital systems and those who are able to design these systems will be able to reap the rewards. Perhaps the logic for understanding at least a little of how digital technology functions is that it will exist increasingly in the background. Our world view is already largely shaped by the algorithms which function behind the scenes to control what platforms like Facebook and all the large online media platforms put in front of our eyeballs. That the potential to alter the outcomes of an election through the manipulation of algorithms which modify the news cycle and shape public opinion is a reality points to the importance of understanding how digital technologies function. Sometimes, it seems everyone who ever went to school is an expert on education and has a plan to make it better. Actual teaching experience, years of professional learning and formal training are all easily swept aside. The result is an ongoing dialog around what schools should do, what teachers need to do more of or less of and how the academic success of the nation is linked to strategy x or y. In search of an easy sell, our illustrious media machine is more than happy to run with whatever story seems to fit the current mood of their readership. The one criteria is a catchy headline and an easy scapegoat. A quick sound bite from an ‘expert’, a brief extract from the latest report by whichever industry group has most recently discovered education and you’re done. No need to actually visit a classroom, talk to a teacher or confuse your readers with the subtle complexity that surrounds every issue within education. In the eyes of the media any issue can be depicted as a battle between two competing points of view. Little seems to have changed in media land since the invention of the good versus evil plot line. In any field that strives to meet the needs of real people and real communities such a simplistic view will always fall well short of capturing the truth. In education, the false dichotomies created by the media and perpetuated by those who are unwilling or unable to take a deeper look, do nothing but harm. The Sydney Morning Herald has contained numerous examples of articles which present education as a contested field where sides are taken and lines are drawn. The most recent version carries the headline 'Hard facts v soft skills: a new front in the education wars’. Sorry, but the last time I was in a school there was no war going on. Indeed, even when you fill a room full of teachers from diverse backgrounds, nationalities and contexts, there is now ‘war’. The article depicts and dramatises a debate that does occur in education. Should teachers focus on skills and dispositions or should they focus on knowledge? There is a tension here that articles such as this perpetuate through fear mongering and oversimplification. There are those who believe that there is a trend away from teaching students knowledge, a shift away from content based curriculums. There are also those who believe that there is a trend away from teaching skills and dispositions such as creativity, critical thinking and communication. That this debate exists at all and that it has been allowed to continue does nothing to help our students. The supposed war between hard facts and soft skills is a dramatic oversimplification of a conversation that needs to occur in schools, with educational leaders, between curriculum writers and with politicians. Approached with an appreciation of the possibility of a response that lies neither at the poles of this supposed debate nor neatly in the middle allows for a conversation that has genuine merit. A conversation that reflects more closely how teachers have dealt with this tension and in doing so serve the needs of their learners. Our students require now, as perhaps they have for a long time, skills and dispositions which will allow them to find and solve problems, deal with complexity and ambiguity and communicate their ideas with clarity. Knowledge may not have the value and power that it once did in times before Google, but being devoid of knowledge is a state of being no-one would argue for. Skills or knowledge alone have little real world value. Intelligence is being able to use what you know in new ways and to solve new problems. The framing of the headline of this article is likely to result in a string of arguments on the side; distractions which only confuse the matter and give credence to the imagined ‘war'. There are those who see the term ‘soft skills’ as a devaluing of what are otherwise described as essential skills, capabilities or capacities required for success. They are skills which are complex and take great effort to master. The term ‘hard knowledge’ implies some level of fundamental truth in the knowledge or an essential value in the particular knowledges involved. There is almost an implication that there is an agreed to body of knowledge that all people should possess despite the very obvious fact that we can only ever hope to encounter a tiny fraction of all that might be worth knowing to us as individuals let alone all that is known. To borrow from Donald Rumsfeld, we will always have more unknown unknowns than known knowns. The supposed debate dissolves when we understand that it is not only preferable to teach knowledge and skills/dispositions together but that it is an entirely achievable goal. When we use content as a vehicle for developing skills and dispositions we provide our students with opportunities to understand that content in ways not possible through rote memorisation. When we engage our students in critical and creative thinking with and about the knowledge we value we allow them to develop their dispositions while expanding their knowledge banks. By giving purpose and context to the knowledge we teach, when we expect our students to be able to use the knowledge they have in meaningful ways and we assess not just what they can remember but what they can do with it with we provide students with the rich and subtly nuanced education they deserve. What education needs is a new narrative. One with complex characters and subtle plot lines. A mature narrative written for an audience that understand that the hero can have a dark side and that the truth is always more than just a little bit messy. We need the media to try a little harder, to dig a little deeper and present a view of education more rooted in the truth of what happens in schools and reveals the many ways educators are meeting the needs of their students. As educators, we have a responsibility to let our voice be heard, to speak truth to power and advocate for a profession that is valued for its expertise in the field most important for our future. If you consider the day to day life of many of our students today, you see that they have very little time that is free from some form of programmed activity. Indeed, it is increasingly the norm for families to fill their children’s time with the maximum number of learning, sporting and co-curricular activities. Schools naturally are happy to facilitate this and many see the breadth of programmes that they offer as a measure of success. But is there a consequence to all this activity and constant state of engagement? During school hours, we hope that our students are actively engaged in the process of learning. We understand that learning requires engagement and that all learning is a consequence of thinking. Unlike a cake baking in an oven, where it is sufficient for the cake to sit passively on its tray while the process happens to it, learning demands the active participation of the learner. Observe some students as they undertake internet based research and you see where this process goes wrong. The student flicks aimlessly from one site to another, pauses here and there and then quickly moves on. It is as though they imagine that by being near the information they will somehow come to understand the material. A similar pattern is evident in some classrooms as the teacher delivers content to their students with little awareness of whether the students are joining them on a learning journey or imagining what they might be having for lunch. And before we blame the students for their lack of engagement, how many times have we bodily sat through meetings and professional development sessions while our minds are busy elsewhere? The significance of engagement in the learning process should be one area around which there is little debate. What is perhaps debatable is how engagement should be achieved. There is a line of thinking that seems to imply all learning should be connected to the learner’s personal passions. That all our lessons should be personalised and individually relevant. We see as a consequence of this line of thinking some educators bringing theatrical elements to their lessons in an attempt to engage the minds of every learner or others who attempt to present only content that is matched to the personal interests of their learners. On the opposing side of the fence are those who claim that there is content that just must be mastered and that it is the responsibility of the learner to engage with it or miss out. This debate around engagement is, like so many topics in education, made more complex than it need be by the way that we construct false dichotomies. Engagement is indeed important and there is content that we need to learn which might not always make it on to our personal ‘Top Ten’ list of things to learn. What the talented and passionate teacher will do is reveal to the learner how and where the content or skill is relevant to the individual’s learning journey and how it fits with their interests. What will never build real engagement are claims that the content is relevant because it is on the test or will be needed at some distant point in a future that seems increasingly unlikely to turn out like the teacher imagines. Often when we are engaging in new learning we fail to immediately see its relevance and in these times, it is the role of the teacher to help us make this connection. When we have teachers who truly understand the material in question and share with us their passion for it we are much more likely to make the effort to uncover its personal relevance. Where this very much falls apart is when we confuse engagement with entertainment. We want our learners to be active participants in the learning process, for their minds and bodies to be engaged in the process of learning. This requires activity on the part of the learner and any measure of success must look at the learner’s side of the equation. A lesson is only engaging if it engages the learner in learning, regardless of how entertaining it might be. All of this engagement however has a significant down side that we often ignore. Our students should be actively engaged during their time in our classrooms. After all the expectation is that this is a time when they are learning. The danger is when we extend the boundaries of their learning day far beyond the time they spend inside our classrooms. Between time at school, time in activities outside of school, time spent on home learning, time engaged in flipped learning, time spent negotiating complex social lives, time interacting with screens, time reading books and consuming other media there is little time left for the average young person’s mind to be quiet and disengaged from external stimuli. Our drive to keep young people engaged is so great that we have removed the downtime that their minds need to process all of this learning that they are engaged in. "These findings also suggest the possibility that inadequate opportunity for children to play and adolescents to quietly reflect and to daydream may have negative consequences—both for social-emotional well-being and for their ability to attend well to tasks." "The overarching premise of the article is that although daydreaming and other lapses in outward attention lead to poor performance on concentration-requiring tasks in the moment, skills for reflecting during lapses in outward attention, and time for safely indulging mind wandering, may be critical for healthy development and learning in the longer term." Filling our days with engaging activities seems like an admirable goal and to a degree has merit. There are many ways in which young people and adults can spend their time which are neither meaningful nor are offering their minds the quiet time they need. Being aware that our minds require time to wander, daydream and disengage from the external world should encourage us to seek a better balance between active engagement and productive disengagement. Immordino-Yang, Mary Helen. Emotions, Learning, and the Brain: Exploring the Educational Implications of Affective Neuroscience (The Norton Series on the Social Neuroscience of Education). W. W. Norton & Company. Schools and more broadly education systems, change at a pace that makes glaciers feel like sprinters. It is often noted that the classrooms of the 1880’s do not look that different from the classrooms of today. The typical reform effort in a school is set to run over five years or more and the slow and steady approach is very much the norm. Even with this slow pace of change it is a not uncommon to hear teachers claim that the pace of change it too fast. We might accept the need for change but need more time to adjust to and internalise the new ways of doing what we have always done. The technology industry moves at entirely different pace. Change, evolution, innovation, reimaginings and constant new features are demanded of companies. If any of the large technology companies fail to release a new product in an calendar year the media is full of stories claiming that they have lost their touch and are bound to fail. Rapid prototyping is the norm. Vaporware is released when companies are not quite ready to go to market but fear a competitor might release a new product first. Bug fixes are an accepted part of doing business at such a rapid pace that time to fully test a new piece of code doesn’t exist. The mantras of ‘move fast and break things’ and ‘fail fast, fail early’ continue to shape the thinking of technologists. The mindset of the technologist is that change is the only way to survive and that the answer to any problem is a new technology or the transfer of an existing technology into a new field. This belief in a combination of rapid change and technology as the way forward was analysed by New York Times writer, Dr. Zeynep Tufekci in a reflection on Elon Musk’s response to the rescue efforts in Thailand. Musk had offered to build a submarine to rescue the boys trapped in a Thai cave; a very high tech solution to a problem that had captured the attention and imaginations of a global audience. Tufekci shows that this thinking is typical of technologists but suggests that such a response is not always the most appropriate. The Silicon Valley model for doing things is a mix of can-do optimism, a faith that expertise in one domain can be transferred seamlessly to another and a preference for rapid, flashy, high-profile action. But what got the kids and their coach out of the cave was a different model: a slower, more methodical, more narrowly specialized approach to problems, one that has turned many risky enterprises into safe endeavors — commercial airline travel, for example, or rock climbing, both of which have extensive protocols and safety procedures that have taken years to develop. The stellar success of our current crop of tech giants has become the model by which innovation is measured and innovation is, or so we are told, what we need. Thanks, in part to the pace of change in technology combined with other shifts in the world outside our classrooms, there is little doubt that the skills and dispositions our students will need to master for their futures, are not what they once were. But does this mean that schools should embrace the mindset of the technologist and strive to match their pace of change? Schools are very stable systems. While they have changed slowly they have evolved to meet many of the needs of the people they serve. It must not be forgotten that schools are made of, and made for people. The concept of rapid-prototyping a child’s education should ring alarm bells; after all we only get one shot at getting right. In this sense schools are like the ‘safety first’ industries that Tufekci references. You don’t want your pilot announcing that she is currently testing a new approach to landing the plane, ‘We’ll see if this works’. Rapid prototyping has no place in the cockpit and no place in school either. If we are to trial a new method we need to be reasonably certain it will work. This is perhaps where the greatest challenge for educators lies; we need to change our practice and we need to get it right first time around. History shows though that education has a tendency to try ideas that don’t work and many ideas have come and gone, remember whole language? The foundational stability of schools might be our greatest strength. There are certain fundamentals that we are most certain about. These fundamentals are not subject to change and are the elements that schools must get right before they can achieve anything else. Schools must be places that facilitate supportive relationships and build individuals with positive self-images. Our students must know that they are safe, known and cared for. Before anything else schools must create a culture where all learners are nurtured. Relatedness is a core component of self-determination theory according to Ryan & Deci, and the neuroscience of Immordino-Yang shows that emotions always matter for learning. Once schools get these fundamentals right, they have scope to try new ideas, to explore alternate approaches and introduce change. When our students feel safe they are more likely to respond positively to new ideas. When they know that their teachers care for them, they are more likely to trust new methods. When this care and respect is extended to teachers, they are more likely to be open to trying new methods and in doing so step outside of their personal comfort zones. Just as is the norm in the airline industry we need a set of protocols to ensure that new ideas are tested appropriately before they are broadly implemented. The actions of pilots in any circumstance, from the very normal to the worst imaginable scenarios, are dictated by checklists. There is a checklist for pre-flight, a checklist for take-off and a checklist for an engine failure. Before any change is introduced across the industry there are procedures to test the new method or part. At every step the aim is to ensure that safety of the crew and passengers is never compromised. Schools might do well to adopt a similar set of protocols and testing processes to ensure that as new ideas are introduced the safe, nurturing environment that is foundational to their success is not put at risk. There is a time and place for the rapid pace of innovation that has brought success to the tech industry, but by being aware of other models for innovation and selecting the one which best fits the circumstances, schools should be able to adjust to the challenges of the future without compromising learning. Immordino-Yang, M. (2016) Emotions, Learning, and the Brain: Exploring the Educational Implications of Affective Neuroscience (The Norton Series on the Social Neuroscience of Education). W. W. Norton & Company. There is great interest in the concept of Growth Mindsets within schools and the principle is being widely applied. In many schools, adoption of the language of Growth Mindsets and a desire to engage with and understand the ideas presented in the writings of Carol Dweck has grown rapidly. The notion that a child’s achievement level across diverse fields can be enhanced by promoting a belief in an incremental model of intelligence is appealing. This has spawned numerous intervention and pedagogical strategies aimed at shaping the individual’s mindset. Carol Dweck’s book “Mindset: The new psychology of success” has been read by many teachers but perhaps by a fewer number than that which claim to have knowledge of her work. In schools, everywhere walls are covered with the word “Yet” to encourage students to adopt the phrase “I can’t do that . . . Yet”. This rapid adoption is echoed amongst our parent body who have been introduced to the theory through parent teacher nights and the wider media. A recent survey of parents asked what do they hope their children to be like when they grow up. A common response was that they should have a growth mindset. Personally, I have presented ideas about Growth Mindsets at two teach meets and included mention of it in numerous presentations to staff and parents. My emphasis is that lasting movement towards a Growth Mindset is difficult and complex. The particular details of how an individual’s mindset is shaped through feedback, self-reflection, metacognition, external rewards, praise and criticism are interwoven. In practice, we see individuals making progress in some areas but not others and that it is easy to slip back towards a fixed or entity view. It is difficult to shift the messaging of all influences on a child towards a focus on the things that they do rather than the things that the child is or has. Praise for effort in a specific field is easily undone by praise for an attribute such as artistic talent or sporting ability or a general assessment that the child is 'so smart’. Misunderstandings, oversimplifications and poor application is perhaps a curse confronted by all psychological theories that move into the vocabulary of the mainstream. Howard Gardner’s theory of multiple intelligences is a good example of a theory reduced to a list of learner styles. Many teachers believed that the multiple intelligences described by Gardner were the singular preferred learning modality of a student and that identifying a learners preferred mode would allow them to target lessons to their needs. In this oversimplified adoption, the understanding that we all might have multiple-intelligences and that intelligence is best seen as a construct of multiple dimensions was lost. Growth Mindsets is similarly misunderstood and applied poorly. Teachers may believe that the promotion of a Growth Mindset is facilitated by a focus on positive feedback or a model of feedback that sandwiches criticism between praise. Others will believe that mindset is a universal attribute; that the individual adopts either a Growth Mindset (an incremental theory) or a Fixed Mindset (an entity theory) and that this applies to all learning or challenge situations. That the presence of an incremental or entity theory is dependent upon the context is easily overlooked. In ‘Creating Cultures of Thinking: The Eight Forces we must master to truly transform our schools’ developing a Growth vs. a Fixed Mindset is one of the five expectations that teachers are encouraged to address. In outlining, how this goal may be achieved Ron Ritchhart (2012) outlines eight cultural forces which might be manipulated by the educator and/or school including modeling, language, environment and expectations. The assertion is that only by controlling all eight forces can lasting change be achieved. When looked at in combination this dual perspective of ‘growth mindsets’ and ‘eight cultural forces’ reveal the true complexity involved in bringing about a change in mindset. We should not be surprised that studies are emerging which question the efficacy of programs to develop a growth mindset when many of these programmes aim to deliver a quick-fix solution with a one size fits all approach. Posters and wall displays will have little real impact. Only through consistent efforts backed by a genuine understanding of the factors which influence the individuals mindset in specific contexts are likely to bring a desirable effect. Even with the most carefully designed programme, results will vary from one context to another and a global shift to a growth mindset is very unlikely. Perhaps it is enough to hope that our efforts might allow individual learners to identify the mindset they bring to particular situations and armed with this awareness make changes to their behaviours where appropriate. An interesting detail within this research is that the supportive nurturing environment typical of primary schools may serve to mask a fixed mindset. The research presented by Blackwell et al. with its focus on the transition to high-school is interesting as it shines a light on elements of the dip in learning commonly seen at this time. If it is indeed the case that it is during this transition that some learners first experience learning situations that reveal a fixed mindset, then schools might look at how they move such challenges downwards into primary school and move the supports offered in Primary school up. It seems critical that an understanding of the benefits of an incremental theory of intelligence are developed early and that students experience opportunities requiring them to overcome adversity while in a safe and familiar environment. If our students are not experiencing challenging learning situations, if they do not have opportunities to struggle with learning and to get stuck, where will they learn that they have the capacity to cope with such learning. If we normalise challenging learning and encourage our students to persist when they find new ideas difficult instead of rescuing them with scaffolds and teacher interventions, we build resilience. When we share with our learners the reality that we as adults find learning challenging, that we get stuck and need to try things many times before we master them, we provide our students with the positive models of learning they require most. Our efforts to enculturate a Growth Mindset or Mindset Awareness are not wasted but the process needs to be understood as complex and demands a multifaceted action plan if it is to produce results. I distinctly recall the first time I sat down to teach myself how to build a website. At the time the internet was young and the process of building a website was complicated and demanded a good understanding of how HTML worked. I was used to developing print documents in desktop publishing programs live Microsoft Word and Aldus Pagemaker. Moving from this style of mostly "What You See Is What You Get” (WYSIWYG) program to working in code with pages that were constructed from linked text files and images was a complete shift. I didn’t get it and quickly gave up. My goal was to learn some of the basics of web design because I could see that this was the next big thing, but at that time I had no compelling purpose for this skill set. A few years later my Curriculum Coordinator asked me to construct a website for our Middle School. I still had little to no idea of what I was doing, but I did now have a clear purpose and a deadline and people who were relying on me to deliver. The learning curve was just as steep. I found some books that helped, invested in some software that made the process easier and I dove in. The first version of the site was very basic but it was a start and I had something that could be tweaked and improved. Each update to the site improved its functionality and taught me new skills. The site evolved from a very plain HTML set of pages, to versions using Tables and then Frames. A year and a bit later the site transitioned to the newly emerging ‘Flash’ platform which allowed for new features and continued my learning journey. The site spent some time living on Apple’s iWeb platform before moving to Wordpress and then Squarespace. Today it is mostly replaced by Google Classroom. This is not a story about the evolution of the world-wide-web. It is not about an evolutionary process of learning or a desire to engage in life-long learning. It is instead about the importance of purpose and engagement as factors in our learning. Between my initial failed efforts to learn HTML and my later success, little to nothing had changed about the task or about my ability. The key factor was the clear purpose that was brought to the task. Wanting to learn had not been enough, I needed to need to learn. We have all experienced times when we are highly engaged by what we are doing and learning. When we are so involved in a task that time seems to move at an altered pace, challenges are exciting and we become distanced from distractions as we focus entirely on the task at hand. This is what Mihaly Csikszentmihalyi refers to as a state of “Flow”, for me it is a time when I become so engrossed in the task that I forget the cup of coffee I have just made until it has long gone cold. As teachers we want our students to regularly experience “Flow”. We want our classes to be full of moments where the learning is personally purposeful, engaging and meaningful for every learner. Beyond our sense that there is value in building connections between our learners and their learning is a growing body of research that should inform our practice. Neuroscientist Mary Helen Immordino-Yang’s research is particularly significant as it reveals the connections between structures within the brain and the circumstances which are required if we are to learn. There is an inseparable link between emotion and our capacity to learn and as Immordino-Yang shares 'It is literally neurobiologically impossible to build memories, engage complex thoughts, or make meaningful decisions without emotion.’ (Immordino-Yang 2016 p18) The clear implication of this for education as Immordino-Yang goes on to state is that if we hope to motivate students, produce deep understanding or provide for transfer of learning into real-world skills we must be aware of and “leverage the emotional aspects of learning”. When we apply this thinking to education and the complex and politicised context in which it exists today such beliefs can be somewhat challenging even as there are also increased opportunities to bring highly engaging and purposeful learning into our classrooms. There can be a sense that between the standardised testing and the crowded and highly-prescriptive curriculum there can be little wriggle room and few options to truly personalise the learning experiences we present to our learners. On the other hand the movement towards learner-centred pedagogies, which in the extreme allows the child to design their own curriculum based purely around their interests, might not provide the learner with the breadth of experience and skills they will require. The debate around these two conflicting philosophies on Twitter as may be expected has quickly become polarised. Those on one side argue that we must provide learning opportunities that are engaging to the individual while the other side state there is much that must be learned even if it is not what we are interested in. Dichotomies such as this seem to never serve our needs. What is perhaps most interesting to observe in this debate is the energy that goes into arguing for certain pieces of learning while stating that engagement is not important. While the author might describe the content as ‘dry’ or lacking excitement they go onto argue for why it constitutes important learning in language that shows how it is at least personally engaging to them. When we look beyond the false dichotomy we create through this debate we find that there is much common ground and the opportunity to view our approach to engaging our learners in a slightly different way. When we truly understand the purposes of what we are teaching and share this understanding with our students we allow them to see the value in what we are teaching. If we set out to show our students the personal relevance of what they are learning in every situation, we allow for the development of the positive affect required for deep and lasting learning. When we assert that this must be learned because it is on the test and fail to show our students why the learning matters to them we close the door on learning. Our role as teachers is not to become Ice Cream vendors who embrace the mantra of ‘Find out what people want and give them more of it’. Instead our role is to ensure our students are engaged in meaningful, purposeful learning by helping them understand its personal relevance and why they might want to take the trouble of paying attention to it. One of the highlights of attending the International Conference on Thinking (ICOT) was the opportunity to collaborate with group of teachers in the 'Curriculum Kitchen' workshop presented by Ewan McIntosh and Kynan Robinson of NoTosh. I should have known what to expect. Any conversation with Ewan is likely to make you stop and think. NoTosh celebrates questions and is not afraid to ask the sort of difficult questions you would rather turn a blind-eye to. In this instance the post workshop evaluation left participants at this conference with one mightily significant question. The ‘Curriculum Kitchen’ workshop uses the structures and roles of a professional kitchen and the process of planning a meal for the restaurant it serves as a metaphor for planning a unit of learning. The ingredients are elements from the required curriculum, the participants are asked to take on roles such as head chef and the conclusion is the presentation of the collaboratively planned unit. We were challenged to form groups with people we did not know and to form groups that were a diverse mix of genders, cultures and languages. I was the sole English speaker in my group but despite the language barrier we rose to the challenge and prepared a series of lessons we were proud to share. At the conclusion of the workshop we came back together as one group and discussed the processes we had used to achieve our goals. What we learned had little to do with curriculum development but a great deal to do with how we had approached the challenge of functioning as a collaborative team working to create something new. It was at this stage that Ewan proffered the observation that left us all with this mighty question. Despite this being a ‘thinking’ conference, despite us all being advocates for structured and scaffolded models of thinking, not one group had applied any thinking routines, utilised a collaborative planning protocol or talked about applying an inquiry model or design thinking cycle. It wasn’t that we didn’t know about them. It wasn’t that we don’t know how to use them. It wasn’t that we don’t value them. We had all the knowledge we could desire on the how to and the why of a broad set of thinking tools and anyone of these would have enhanced the process, but we did not use any of them. Why was this the case and what does this reveal about our teaching of these methods to our students? This realisation left us with much to ponder beginning with what is the purpose of our teaching of thinking strategies. Understanding our “why” is an important first step. Clarifying “why” we teach thinking is critical if we are to make the right moves down the track. When you begin using thinking routines and protocols in your class you find that they bring a new depth to the conversations you have with your students. Thinking is hard work and it is a process that can be enhanced by the inclusion of some structure. By requiring students to use a routine you provide them with the structure they need and when used with the right stimulus you are able to both deepen their thinking and make it visible. As the thinking of your students is made visible you gain insights into their understanding and are able to make adjustments to your lessons to target gaps and meet their needs. In this sense thinking routines, protocols and models of inquiry are excellent tools for enhancing student learning of skills and content. If this is our purpose and then we might not mind that a group of thinking experts choose not to use any of these tools, after all they are merely teaching tools and it is the role of the teacher to select the most appropriate tool. The trouble is that few of us would argue that thinking routines and the like are merely pedagogical moves to be applied only in the context of a thinking classroom. Our aim is to have our students develop an understanding of the value that these tools bring to their learning, their thinking and their problem solving beyond the walls of the classroom. We would hope that experience with these tools in our classrooms would result in our students adopting the use of these tools independently. Our goal might be to produce life-long learners capable of self-regulating their application of strategies for efficient and effective thinking; but we seemed to be evidence that knowledge of these methods and even valuing them, is not sufficient. When you analyse a typical classroom it is quickly apparent that the teacher plays the part of the ringmaster. The learning that occurs is for the most part a consequence of the decisions that the teacher makes. To be certain the learner always has the most important role to play in determining the true outcomes that they achieve as consequence of the experience but the context for the learning is set by the decisions made by the teacher. The what and the how of the learning is set by the teacher and students then engage (or not) in the experiences presented to them. In the typical thinking classroom, this extends to the choice of thinking strategies hopefully as a result of the teacher’s identification of the types of thinking required. With an understanding of the thinking they wish to make routine for their students and armed with a selection of thinking routines that will enable this, the teacher invites the students to join them in the process of making meaning. What we want is a situation where the students are able to move into the role played by the teacher in the above process. We hope that as a result of regular exposure to this process of learning through the use of thinking routines that our students will be able to self-select the type of thinking required in particular context and then choose a thinking-tool that will meet their needs. If such a process works, we should see this pattern of behavior in adults when problem-solving individually and as adults but the reality is that we don’t. Ask the average person or survey a group of people as they make daily decisions of any scale and they typically do not describe their use of what we may consider a thinking routine. Why might this be? Is it that thinking routines are relevant to the sort of problem solving and thinking required in the classroom but are not useful in the real world? This is a notion that should seem flawed to teachers who see learning within schools as preparation for so much more than an exit exam. Our aim is to not just fill our students heads with the knowledge they need but to develop in them the dispositions and capabilities they will require to thrive in the world beyond school based learning. We routinely talk about bringing real world learning into our classrooms. From the alternate perspective we can also see how our thinking in this “real world”, the thinking we do as adults leading normal lives can benefit from the application of some thinking routines. Consider the thinking required when making a significant purchase and the factors which determine our ultimate choice. In most cases, we might agree that the application of even a very simple strategy such as a plus/minus chart would at least allow us to see the true benefits of one selection over another, even if our final decision is guided by our hearts. Thinking is after all hard work and we often don’t do it well. Group dynamics might have a part to play in the use of thinking routines within self-regulating groups. It is typical to see groups move through stages as they form, storm and norm. In the opening phase group dynamics are shaped by polite interactions, efforts to read the terrain of the group and to understand who fits where. Roles are not clear and there can be a reluctance to impose structure upon the group. If the group is diving straight into the task of understanding a problem the opportunity to apply a thinking routine to this process can be missed and replaced by a form of bumbling ideation where possible solutions are shared and politely discussed in a most unstructured manner. In the classroom, this bumbling disorder is avoided as a result of teacher intervention. We do not typically hand our students a problem, leave them to form groups and come back an hour later to see what solutions might have evolved. Structure of some form is imposed upon the group even if it is quite minimal. This points to the need to teach our students not only to value thinking and the use of thinking tools as strategies to enhance the quality of their thinking, but of the need to teach them how to both select thinking routines based on their awareness of the thinking they require and the capacity to integrate these methods into the collaborative process. The learning experience that we had in the ‘Curriculum Kitchen’ is one model for how this sort of learning might be facilitated. The brief we were given was very open. There was some structure imposed but it was minimal and we had scope to make our own ways towards the destination. At the conclusion of the task time was dedicated to reflection on the processes we had used and our teachers played an important role in asking us questions which guided our thinking and helped us develop an understanding of what we had done. In a traditional reading of the workshop model by this stage the lesson was over, in reality it was only now that the learning began. The implication is that when we plan lessons we need to allocate much more time to the process of reflection as it is at this stage of the lesson that we are able to discuss the choices that were made and to evaluate the strategies deployed or ignored. Some of our teaching time needs to be dedicated to the task of teaching our students how to collaborate, how to form a group, structure a group, provide leadership for a group and manage the complexities of the groups social dynamics all while achieving the group’s goals and purposes. Doing so requires all of our best teaching moves including modelling, direct instruction, guided and independent practice, with meaningful and transformative assessment that is both external (teacher & peer) and internal (self). Group work is a frequently used strategy in schools but when looked at closely we must question if it is serving purposes other than a division of labour. Collaboration is one of the most commonly referenced 21st Century Skills but successful collaboration is challenging and something that many adults struggle with as evidenced by the large selection of management books and courses which focus on developing the capacity to lead high-perfoming teams. Our students need to learn these skills while at school and then develop the capacity to apply their knowledge when participating in collaborative teams without a teacher providing the external management. Harvard’s Project Zero asks us to consider a triadic-dispositions where there is the required capacity, the necessary motivation and a sensitivity to the utility of particular set of behaviours. When it comes to strategic-thinking and with that the adoption of thinking moves, our aim needs to be thusly elaborated. Our students need to value the use of thinking strategies, understand when such moves are useful and have the desire to utilise them but this is not enough. Building on from having established a disposition to utilise a thinking strategy they must also have the social capacity to bring these tools into their collaborative circles. Their needs to be a social valuing of thinking and thinking routines as tools to achieve the purpose of the collaborative group. We need to educate not only individuals to value thinking but to develop a collective awareness of the value of our collective application of thinking strategies. Edward P Clapp shared his research on ‘Participatory Creativity’ at ICOT. He argues that creativity is not the result of the thinking of the lone genius but a consequence of the thinking of many. Edward encourages us to move from worshiping the individual thinker to an appreciation of the collective intelligence that is revealed when we explore the biography of an idea. While Edward’s work is focused on the participatory nature of creativity, it can be readily applied to thinking in it broadest forms and points us towards an understanding that as all thinking is social we need to be teaching our students to maximise the benefits of their thinking within social groups. This opens the door to a pedagogy that not only recognises, as Vygotsky argues, that learning occurs within social contexts and through the individual’s participation in societies but one that seeks to educate the collective mind.